Teresa joined our staff in September, 2014, although she has been a member of St. Catherine Parish since November 1966. She also attended our parish school from 1st through 8th grade. Teresa was born in Colombia, South America, but her parents moved the family to the United States in 1965. While studying Voice Performance at UW-Milwaukee and singing in the Bel Canto Chorus, Teresa decided to pursue her desire to live abroad. She moved to Switzerland where she worked in International Banking and became fluent in German, French and Italian. She returned to Milwaukee in 1993, and resumed her vocal studies, which she continues today via private instruction. She has held various administrative positions within the corporate sector until 2013. She then worked as the Ministry Administrative Assistant at St. Robert Parish in Shorewood. 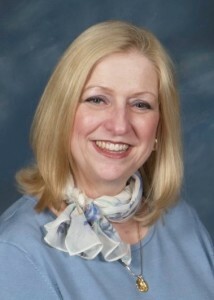 Teresa currently serves as a cantor and lector at St. Catherine, and also directs our choir.